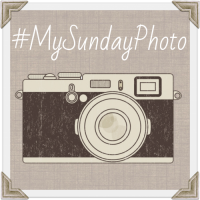 Us Two Plus You: #My Sunday Photo - Victory! It's been a very long time since I shared a Sunday photo and I knew at the start of this week that I needed to and I think I had already got the perfect picture by then! 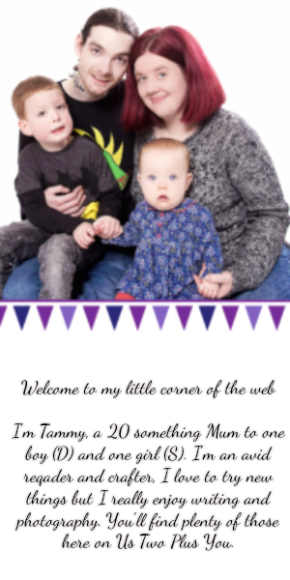 So we are linking up with Darren over at Phot A Life this week. Don't forget to pop over and take a look. He takes some amazing photographs. This picture was taken last Sunday night while we had some family time on Valentine's day. It may not be a perfect photo but Do was incredibly excited about it and couldn't possibly stay still. We had decided to play a game of Monopoly and to let D play all on his own, Simon was counting the money part out for him. I think D knew something we didn't right from the start! Every time he rolled the dice and moved his Lightening McQueen along the board he screamed 'I win! I win!'. Boy did he win! He caught on quickly that the aim of the game is to buy everything and that is exactly what D done. He had his first race round the track in under 5 turns and was buying each and every property he landed on. After he had bought properties from almost every colour on the board he set about landing on at least 1 of each every time he passed. Which of course meant that he soon had enough to build houses. On each turn D took a new house had to go up by the means of D shouting 'More houses, Mummy. I need more houses please!'. By the time I finally landed on one of these houses it almost wiped me out completely. However I didn't have to wait long before I landed on him again and that was me. D was delighted to have even more money and properties to build on that his first words after I was out where 'more houses please! lots and lots!'. It didn't take much longer for Simon to go bankrupt either. He only had to land on one of the most expensive and then roll a 2! Haha, He was not impressed to have been beaten by a 2 year old. So D won it all even Daddies hat which he refused to give back all night because he had won! 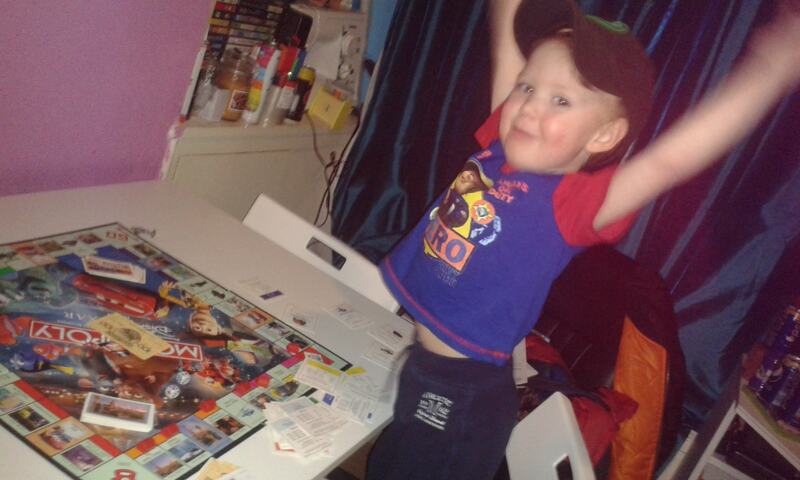 Great photo, we love Monopoly and games in this house. Thank you Merlinda. He was certainly happy that we finally said yes, you won!